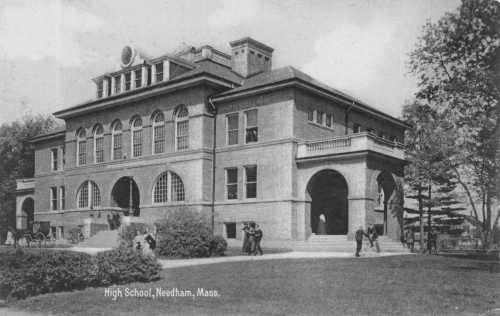 In 1900, there were 732 children enrolled in Needham’s seven schools. 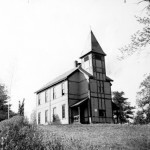 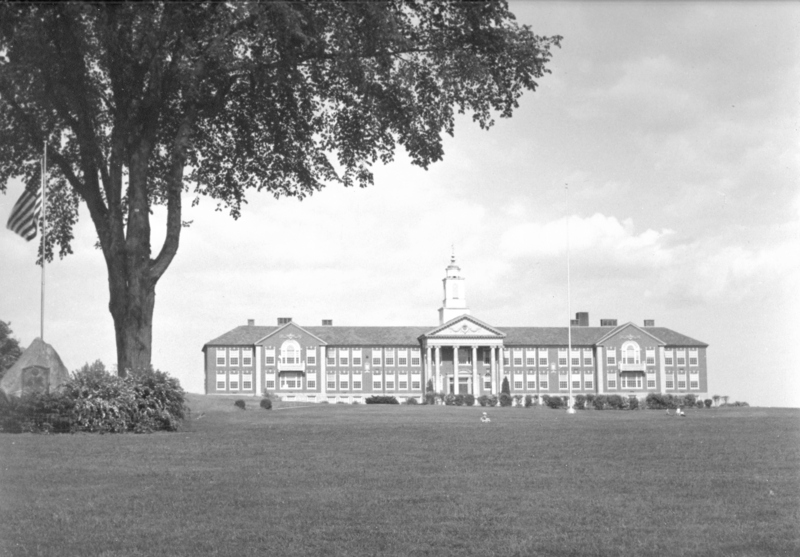 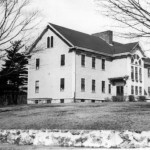 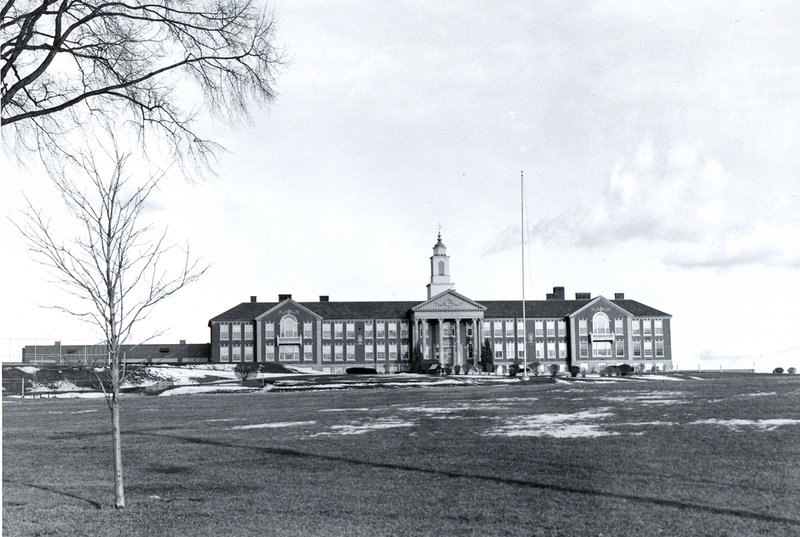 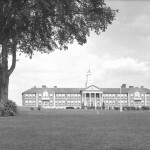 There were two comprehensive grammar schools – the Kimball in Needham Center, and the Avery in Needham Heights. 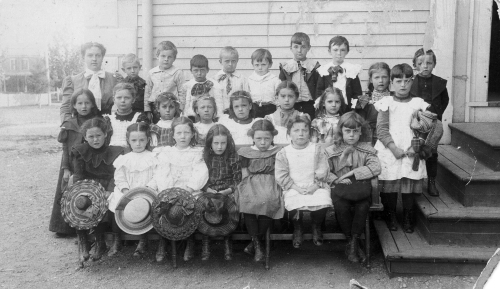 These served Grades 1 through 9, and each class had its own teacher. 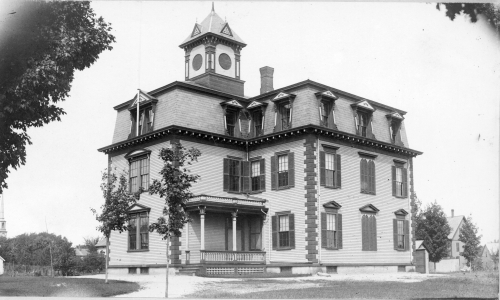 There were two two-room schools (Eliot and Dwight), and two one-room schools (Harris and Parker). 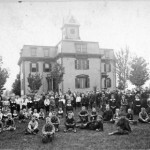 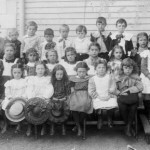 Even a century ago, the concept of the one-room school was considered antiquated, and the Superintendent of Schools urgently and repeatedly petitioned the Town to close the Harris and Parker Schools and consolidate them into the more progressive, multi-classroom schools. 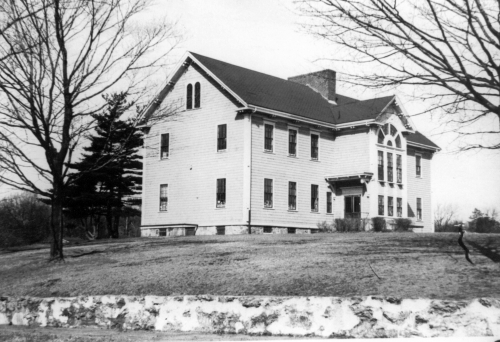 Nevertheless, one-room schooling persisted in Needham until the Harris School was rebuilt in 1938. 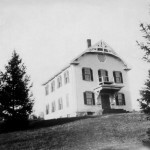 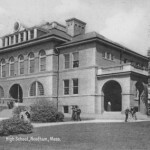 This was Needham's first High School, built in 1898. 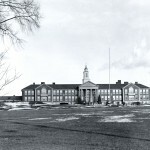 In 1900, the High School had three teachers (one of whom was also Principal) and 89 students. 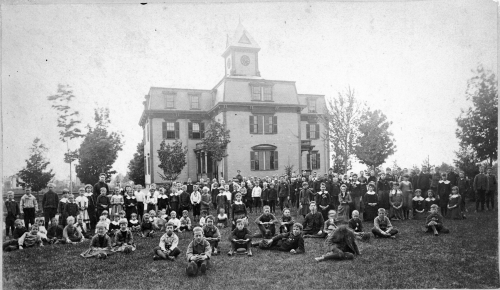 The school remained in use until 1930, when the present High School was built to replace it. 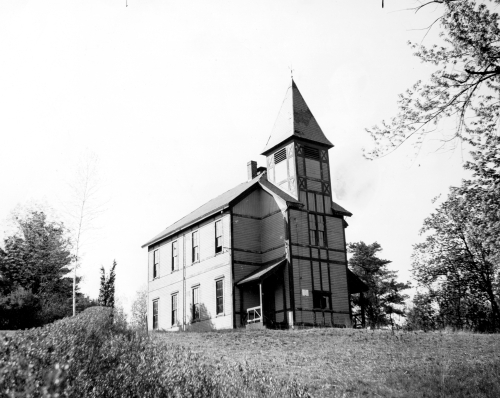 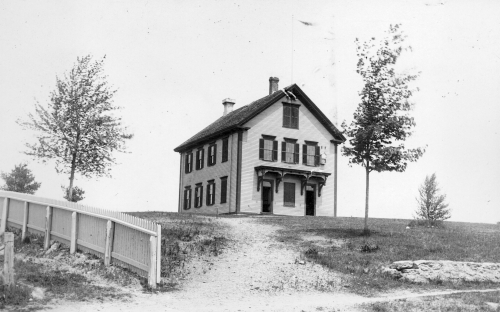 The Upper Falls School, renamed Eliot School, was built in 1869 at the intersection of Central Avenue and Gould Street, to replace the one-room school known as the Little Red Schoolhouse. 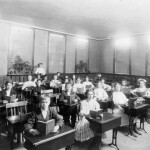 The students are trying hard to look studious for posterity. 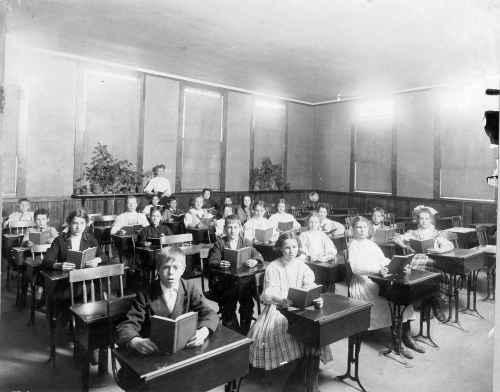 The school is not identified, but the large size of the room and the arrangement of the windows suggest one of the two-room schools, Dwight or Harris. 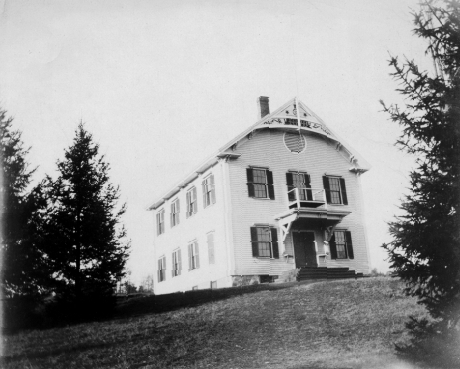 The Harris School, a one-room school, was originally called the Plains School when it was built in 1855. 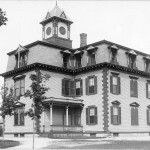 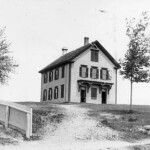 The one-room Parker School, built in 1876, was located on Charles River Street, and served a small population of children who lived in the Charles River Village district.